Following periods when short-term rates ease, lending activity and subsequently business development typically accelerate. 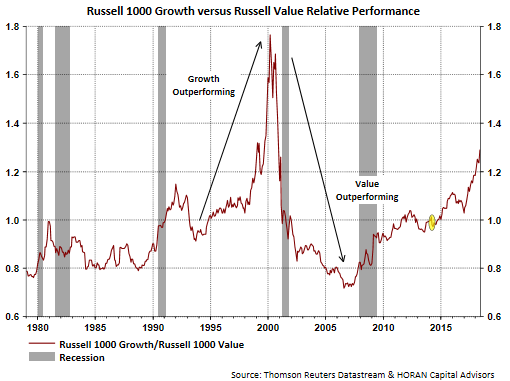 During these periods value stocks, led by financial and industrial companies, begin to outperform. 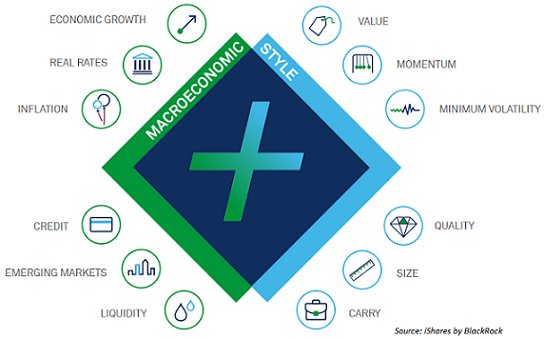 As the global economy begins to expand, demand for basic materials, such as metals, and energy related commodities, such as oil and natural gas, rises. That leads to an increase in the price of these commodities which in turn has historically led to the outperformance of the stocks of commodity producers and processors. As in the case of an economic slowdown, the monetary response to economic expansion is also typically delayed until sustained signs of acceleration in inflation are apparent. In response, central banks begin to hike short-term interest rates to the point where the interest rate yield curve is flat or inverted, i.e. short-term rates are either equal to or higher than long-term rates. Lending activity to businesses then typically slows significantly, profits of financial institutions decline, and financial stock prices begin to lag the market averages. 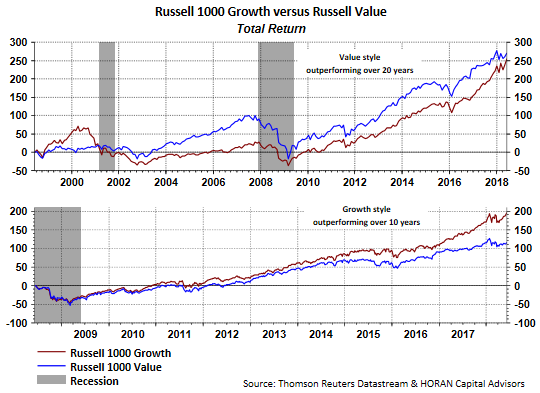 Economic activity moderates, and once again those stocks that can grow their earnings at the fastest pace, namely, growth stocks, typically resume a period of multi-year outperformance. 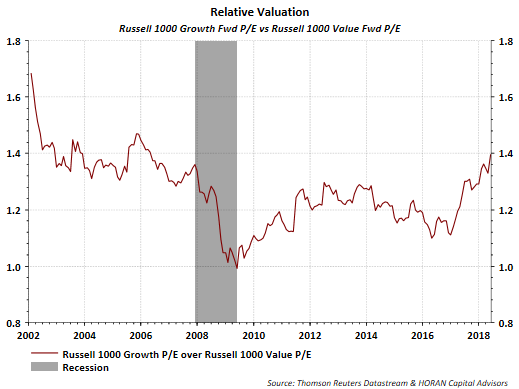 [one}...needs to understand the market fundamentals, ignore the noise, find relevant data to compare approaches, resist the chase for yield, and think for the long run. 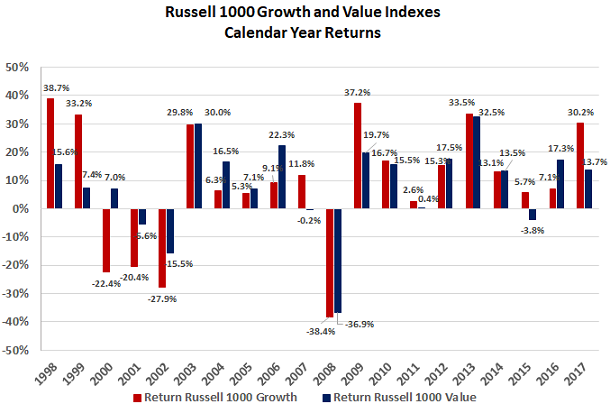 Most importantly, have a plan for a major market decline. Without one, you will never stick to your program.